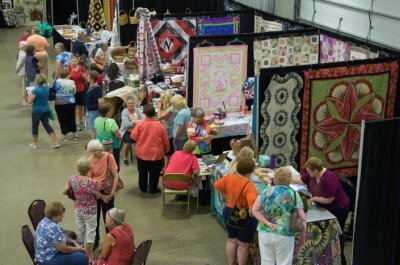 The Nebraska State Quilt Guild (NSQG) is a statewide organization of individuals who have sought a forum for the purpose of furthering education about quilts, promoting the art of quilt making, and expanding the friendship circle shared by persons dedicated to quilts and the fiber arts. 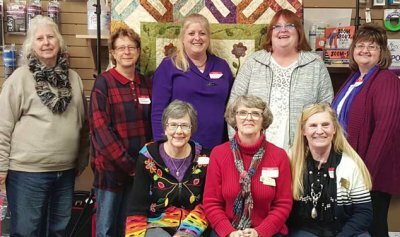 Hosting Quilt Gatherings around the state. Annually donating quilt books to each public library in Nebraska. Offering a special "Pride of Nebraska" award at the Nebraska State Fair. Assisting with the exhibit of quilt entries at the Nebraska State Fair. 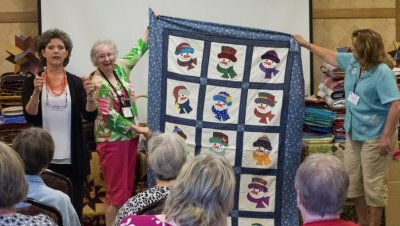 Holding an annual gathering, QuiltNebraska, that offers lectures, workshops, and fellowship. Holding an annual quilt show called Threads Across Nebraska. Completing one $150,000 commitment to the International Quilt Study Center at the University of Nebraska in Lincoln, followed by the completion of a second $150,000 pledge to the IQSC Building Fund. Our "Quilt Preservation Project" provided support for quilts in Nebraska museums.